Epilepsy is called a neuropsychiatric disease that affects the nervous system and is accompanied by a sudden appearance of seizures. The disease can be congenital (idiopathic), hereditary or acquired. Manifests itself due to trauma, infections and inflammatory processes in the shell of the brain (meningitis). The need for antibiotics for epilepsy will be discussed later. When Prescribe Antibiotics for Epilepsy and how to drink them? Sometimes there are such conditions, get rid of which without the use of antibiotics will not work. For example, if bronchitis is not cured in time, it can end with pneumonia, and the attached bacterial infection will lead to serious consequences. Epilepsy does not cancel antibiotic therapy, but there are some drugs that are unacceptable. If the doctor, knowing about the diagnosis, prescribed an antibacterial drug that causes doubts, then it can not be canceled on its own. You can go to another doctor, to pass additional tests. After that, the doctor can review their appointments and change the list of drugs. Most pick up drugs for the treatment of bacterial diseases can not. After the invention of such drugs do not cease disputes about the need for their use in a particular case. In the intestine of any person live at least 2 kg of various beneficial bacteria that play a crucial role in maintaining immunity and normal digestion. Antibiotics are designed to destroy all bacteria, including useful ones. People suffering from convulsive attacks, you must take a means with a minimum of contraindications and adverse reactions. The most common negative effects are considered possible allergic manifestations, toxic damage to the kidneys and liver, weakening of immunity. In addition, some drugs from this series have a strong effect on the nervous system and hematopoiesis, which is a direct contraindication. There are many means, the joint use of which with anticonvulsants is contraindicated. 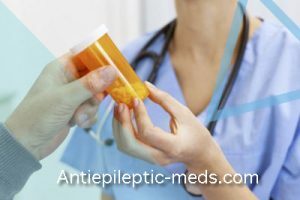 Some ANTIEPILEPTICS should not be taken with any antidepressants and antipsychotics. This leads to depression of the nervous system and a decrease in the effectiveness of anticonvulsant drugs. Antimicrobial agents should be prescribed by a doctor, on the basis of the survey. If the diagnosis of epilepsy is confirmed, then their reception must be combined with anticonvulsants. When using antibiotics, it is important to know when to take them. Only a specialist can determine the need for antibiotics. There are several types of antibacterial drugs that differ not only in the field of application, but also in the class, group and type. Cephalosporins are a broad-action products and are divided into five generations. Direct contraindications are not only epilepsy, but also allergies, cause severe allergic symptoms, gastrointestinal tract. Quinolones are not used in epileptic seizures in history, allergies and for the treatment of children. Tetracyclines also can not be taken with convulsive syndrome, and side effects are standard, as in cephalosporins. Most antimicrobial agents are prescription and are prescribed by a specialist. Take them strictly on the advice of a doctor, because only he knows what anticonvulsant drug the patient takes. Focusing on this, it can adjust the dosage, in the direction of reduction. So, while taking sulfonamides with Phenytoin, the dosage of the latter is significantly reduced. 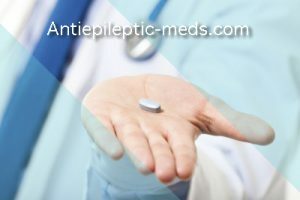 To minimize the risk, it is necessary to divide the time taking antibacterial and antiepileptic drugs. Usually, with a cold, stress, strong feelings, weakening of the body, the dose of anticonvulsants slightly increase. At the same time taking with antibacterial, on the contrary, provides a significant reduction in dosage. To avoid serious consequences for the body, do not pick up drugs yourself. If the doctor prescribed a certain drug, you should clarify and the reception circuit. In the absence of contraindications to epilepsy in the instructions, the drug can be used.